You can’t just go out there and pick any belt and expect it to help you lift heavier, it’s not a good idea to just grab the first belt that fits properly and run off to the checkout! There are a few things you must think about first before you can make an intelligent decision, in this review of the Harbinger firm fit lifting belt we’ll go over everything you need to know about what this belt can offer you and if it’s up to the job. A weightlifting belt’s primary purpose is to stabilize the spine by adding additional intraabdominal pressure to your abs, if you have the appropriate fitting belt it’s almost like having a second set of abs. First off, all you need to do is wrap the belt around your abdomen, so when you take a deep breath into your stomach the belt limits how far your abdomen can expand. As mentioned earlier this intentional restriction increases the intraabdominal pressure and helps stabilize the back, research has proven the increased stabilization increases how hard your leg and hips, say in a squat, can contract. Fire the hamstrings more as you fatigue during a set. Generally, when you combine all of the above, the wearing of a belt will help you lift a little heavier and activate extra muscle tissues, but the big question is when should you wear a belt? Here you need to be a little thoughtful, constant wearing of a belt without proper ab training can create a weak midsection, so I’d recommend you say no to the belt unless you are performing some seriously heavy squatting, deadlifting or overhead pressing. It comes down to personal preference when choosing which is the right material for you, leather belts provide a stiffer less forgiving support compared to their nylon counterparts, leather belts tend to cost a lot more too. The Harbinger weightlifting belt is made from a mix of nylon and other cloth materials, the belt is slightly stiffer and tough on the outside whilst the inner is soft smooth and more flexible., you often see a tougher hardened exterior and softer inner when nylon is used for the belt. Generally speaking, you will notice nylon belts to be noticeably thinner than leather belts, which in turn makes them much more flexible, it’s these two traits that make the nylon belts more appealing to the crossfitter and recreational lifter, they offer enough support whilst still offering a large amount of movability. The Harbinger weightlifting belt uses velcro as the locking system, your find velcro being used for all nylon belts, I can hear many people asking themselves ” how secure is that?” By the very nature of velcro there will always be a chance you’ll hear the dreaded sound of the velcro coming apart under a heavy squat, but surprisingly most velcro belts are very secure. Harbinger’s extra wide 7.5″ belt has a contoured hip and rib design which maximizes a midsection fit, the contoured fit increases the belt’s ability to aid strong tensioning around the waist. 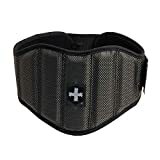 Contoured fits are becoming increasingly popular for bodybuilders and crossfitters and general gym goers who need a belt designed with a little more comfort and movability in mind. Contoured designs are also thought to encourage stricter form when lifting the heaviest of weights. The only flaw you will find in with most nylon belt designs is the velcro fastening, velcro isn’t, on the whole, particularly durable, after a year or two of continued heavy use you might find yourself buying another belt. But like many, you may prefer a lighter more forgiving design, a design which lets you move more freely but still provides a decent amount of security? If you do, then nylon is the way and Harbinger’s offering for under $30 is an excellent choice and one of the best nylon belts you will find on the market right now. Haven’t made your mind up yet? Then you might want to check out two of the other top nylon belt recommendations within this price bracket. Here’s a quick summary of our fav two nylon velcro belts. 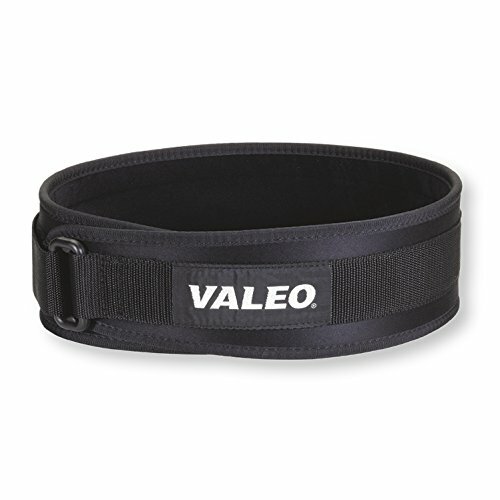 Another excellent choice of lifting belt for anyone on a budget, the Valeo belt is best suited to guys who lift occasionally and are not into serious lifting. Entirely made from nylon this belt is lightweight and comfortable to wear, the edges are softbound which means they won’t scrape against you when performing your exercises. 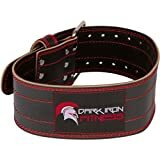 If you’re not hitting the gym very often and lifting the super heavy poundage isn’t your thing, then this belt will make a great alternative to the heavy duty higher priced leather offerings. One of the most popular nylon lifting belts on the market and there’s a good reason why. The Fire Team belt has been designed with grooves that contour to the body, and just like our Harbinger belt this helps with proper lifting form, there’ll be no sacrificing full range motion wearing this belt. 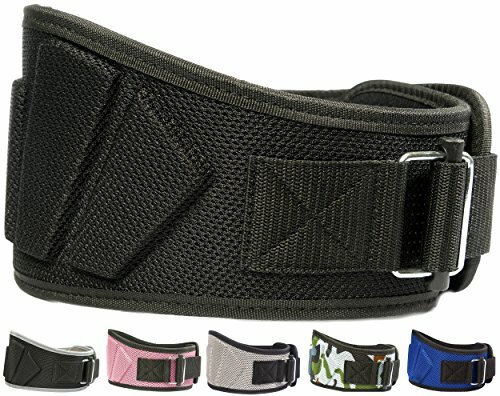 A unisex weightlifting belt which has been designed to fit all sizes, the Fire Team belt also comes in youth sizes, great for teens who are just getting started with their lifting. A nice touch from Fire team. A serious lifting belt designed for most lifters, it’s certainly a belt that warrants a closer look. 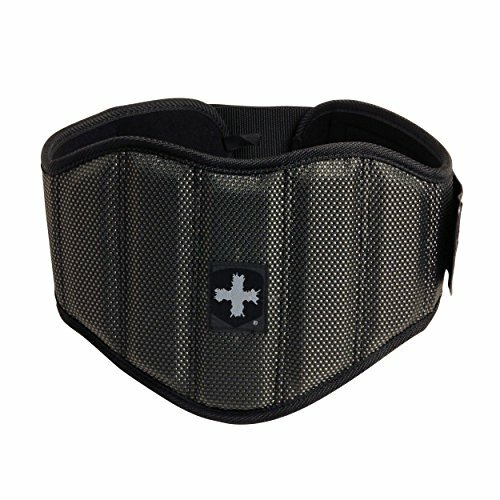 Summary Harbinger Firm Fit Lifting belt What we have here is one of the best Nylon lifting belts available for most types of lifting, purposefully contoured so not to be restrictive when squatting or deadlifting this belt aids form while giving your back and abdomen the support they need. A great choice of belt for lifters on a budget or for people who prefer a little more comfort when they lift.